Designer Hazel Carruthers: I enjoyed my time within in house studios. It was a massive growth period where I learned so many skills from being around other designers and being taught about the specifics of a product. I love inks and watercolour, they are my go to medium and hand painting allows me to keep a unique style to my work. 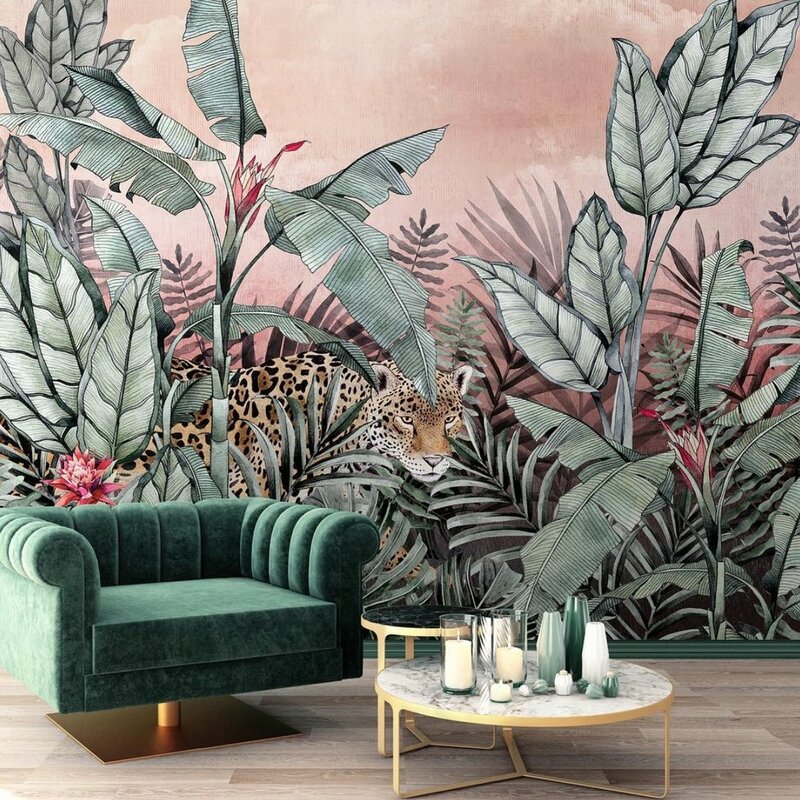 I am also not only keen to get into retailers & little independent shops, but to work with interior designers on refurbishing or new projects for bars, hotels etc. It’s not easy to start your own Interior Brand, it takes Talent, Courage and a lot of Hard work. What inspired your creative career? I have always been artistic from a young age. I enjoyed drawing & painting and my parents noticed this and encouraged me. They told me throughout school to aim to get a job that I enjoyed. Well for me that was going to be something to do with Art & design - I just didn’t know exactly what. I went on to do a portfolio course at college as my school was not able to prepare me for Art College. I got into Duncan Of Jordanstone College of Art where I opted for the 4 year course which included a general first year, allowing me to try all the areas that I could take my degree in for the following three years. I chose printed textiles as it allowed me to still paint and draw, but having the excitement of seeing it come to life on a fabric or end product was the cherry on the cake. Having worked in the Industry for over 10 years why did you decide to start your own Brand? I enjoyed my time within in house studios. It was a massive growth period where I learned so many skills from being around other designers and being taught about the specifics of a product. I went from greetings & cards, to Wall Art & Wallpaper before my last in house job in a home textiles studio for bedding. I got to a point that I knew I had the skills and the confidence to pursue my own venture. I felt it was time to step away from the client briefs & create something I believed in. The freedom I have felt for doing this has been a massive unclipping of the wings for me. But I could never have done it without those years under my belt. You have a unique style and an incredible talent to blend ornamental forms as a contemporary look, how do you create your intricate patterns? Nature has always been a massive influence of mine, and I have always been a lover of fairytales & folklore, which I think reflects in my work and adds a little flare of wonderment to my style. I always start with a simple sketch or drawing. I love inks and watercolour, they are my go to medium and hand painting allows me to keep a unique style to my work. I also have a keen eye for trends and headed the trend research in my last studio role. I think it does keep your work fresh, keeping an eye out on the latest catwalk shows and combining that with what you are being inspired by. It could be the colours, it could be the style of artwork, it could be a particular era of time. Keeping things fresh is all about new combinations, and thats what makes it exciting! How do you print your products? You have a diverse product range what challenges did you face? Now there’s a question! All my designs are printed digitally which allows me to have absolute control over the amount of detail & tones of colour in my work. Because they are hand illustrated and painted in watercolour and ink, the designs are often very tonal with washes of colours within them. It is paramount to make the designs look their best when printed onto textiles. Challenges have come every day since the beginning of this journey, but the feeling of achievement has been greater than the stress! Sourcing different suppliers for each product was hard, you need to calculate so many factors into the equation, and it was something I hadn’t done before. It will be a an ongoing challenge I think. As a luxury brand what are you favourite fabrics for Fashion and Interiors? My favourite has to be velvets for interior, they just looks so luxurious, and they are soft and plush to the touch. I also like silks and chiffons for fashion. The silks provide an almost soft shimmer effect, which look lovely when the fabric is draped and flowing. I do love the way chiffon moves and almost dances with the body, and it shows the print both sides which is always a plus! As I am very near the beginning of this journey I am getting used to all this marketing stuff. I have so far used social media as my main marketing tool. Instagram & facebook are great ways of showcasing what you are all about and it’s very cost effective. I am also in the process of working with a couple of influencers, to see how that plays out for me. And I am also looking at hopefully getting into some magazines, you can never under estimate the power of a good old fashioned hard copy! What’s your favourite design from you collection and why? How do you plan to expand your Brand? I am just back from my first exhibition down at Top Drawer in London, so I am hoping by following up on my little book of new contacts I will create new platforms from which to spread the word of the Avalana world! I am also not only keen to get into retailers & little independent shops, but to work with interior designers on refurbishing or new projects for bars, hotels etc. Always go with your gut. Make sure you are learning all the time. Don’t ever forget to draw/paint/ make a moodboard, just be creative in a way that makes you happy and reminds you why you started your journey. It can get stressful and sometimes all you need is to just enjoy it again. I have a few things up my sleeve at the moment that have come from Top Drawer, but my website is my main platform where you will find all my current products.